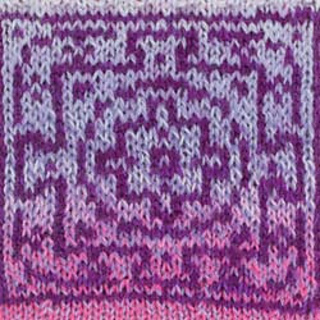 The eleventh pattern in our Sock of the Month “World Traveler Series”! 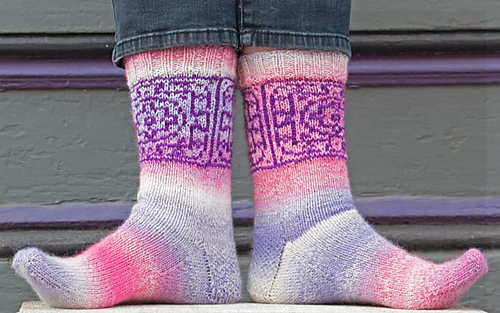 Inspired by the beautiful mandalas in the region of Tibet, the String Mandala socks are fun and deceptively simple! Only two colors are used - a solid color and a self-striping color. After a ribbed top, the beautiful mandala is knitted with stranded colorwork. The rest of the sock lets the self-striping yarn do all the color shifting for you. Throw in an eye of partridge heel and these socks will be ready for your next travel adventure!